Mark your calendars and get ready! 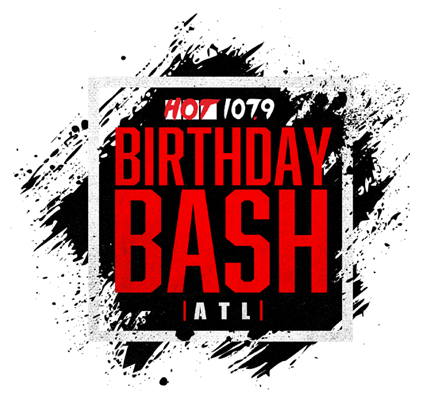 The biggest concert of the year Hot 107.9’s Birthday Bash ATL, is June 17th-18th! The “Heavyweights of Hip Hop” T.I., Jeezy, Kevin Gates, Rich Homie Quan, Migos, Rae Sremmurd, Young Dolph, 50 Cent, Lloyd and more will be performing at this year’s show, Saturday June 18th at Philips Arena. So if you’re planning to head to the A for Birthday Bash weekend, don’t worry we’ve got you covered from hotels, eatery concert details to help make this a Birthday Bash you won’t forget! Saturday, June 18th, 2016 – Birthday Bash Block Party, Centennial Olympic Park (FREE EVENT) it will be hot so dress appropriately!! CLICK HERE for the Official Birthday Bash ATL After Party Network!! Text birthdaybash to 71007 to join our Birthday Bash club to get alerts + artist announcements! Standard message and data rates may apply. Maximum of five autodialed Text Club messages per week. To cancel Text Club, reply STOP to 71007. Reply HELP for more information. For complete Text Club terms and conditions and esign disclosures, visit here. North Korea Vows Nuclear War In U.S.